For couples that want an alternative to the classic white cake, bright colours and striking patterns such as stripes are very popular and large individual patterns such as flowers can stretch across several cake tiers to provide impact. The cake colours can be chosen to match the overall wedding colour scheme; choosing a bolder shade of the accent colour is often effective. One interesting twist on the cupcake theme is a traditional square tiered cake with a couple of tiers made up of tiny individual square cakes, completely iced and personalised for your guests. This is a more formal version of the cupcake tower but still means that each guest gets their own individual cake. The trend for filling a large cake stand with individual cupcakes is still growing, but many couples are looking for more novel ways to adapt this concept. Fruit cakes are no longer the only option and couples are now looking at flavours such as chocolate toffee, fudge, maple and pecan, coffee, carrot, lemon, vanilla and raspberry, and blueberry. You can choose to have different tiers in different flavours. White chocolate and strawberry or lemon are popular flavours for ice cream cakes, just make sure not to leave the cake out of the freezer for too long to prevent it from melting away. For outdoor summer receptions, ice cream cakes are the ideal choice, and should double up as dessert as your guests won’t be able to take a slice home. White icing with black elements has been fashionable for a while, but this season elegant black and white cakes are being livened up with a dash of colour, such as bright red, pink, or orange flowers, or a vibrant ribbon. For a striking look, try icing each tier in a different monochrome pattern, including diamonds, stripes, and flower. 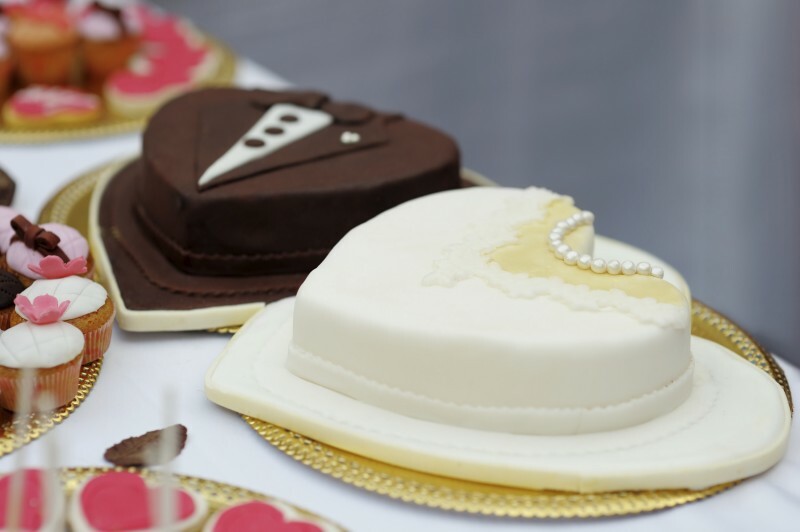 Tiered wedding cakes no longer need to have identical layers. Some couples are opting for layers shaped like a particular object, for example a tiered cake designed to look like a pile of suitcases is a great choice for a wedding being held abroad. Stacking various shaped layers on top of each other creates a contemporary, alternative look. 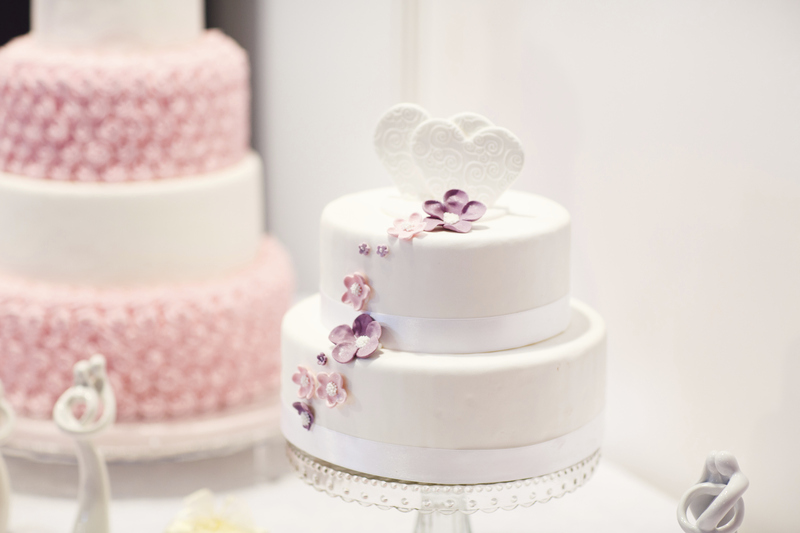 There is a growing trend towards having your cake design based the style of your wedding dress. Some high end caterers are actually collaborating with dress designers to produce couture cakes inspired by the designers’ collection of wedding gowns. Ivory, cream and white cakes are being decorated with pearls, diamante, fabric, flowers and pieces of jewellery to mirror the bride’s outfit.